Until more recently, the best route to enable professional, high-quality video conferencing was through infrastructure. The cost of procuring, managing, and supporting this infrastructure was simply accepted as a cost of doing business. Increase in mobile workers and distributed workforces -- As more employees work remotely, they need tools that work from any environment. Growing need for interoperability -- Organizations standardizing on Skype for Business and G-Suite found that their traditional room video conferencing systems were siloed and couldn't connect with this user community. Move to the cloud -- Companies are shifting more applications to the cloud for scalability, innovation, and the future-proofing of their investments, as well as to capitalize on Opex versus Capex investments. In fact, a recent LogicMonitor study estimates that 83% of enterprise workloads will be in the cloud by 2020. Video infrastructure is no longer the best answer to most video deployment architectures. That doesn't mean that purpose-built video codecs from the likes of Cisco and Polycom have seen their day. Nor does it mean that your existing investment in these solutions has become obsolete. Instead, it means secure, high-quality video conferencing no longer requires you to own video infrastructure; cloud services can accomplish this, while protecting your investments and saving money at the same time. If you've received an end-of-life notice on some of the critical components that make up your video infrastructure, you'll need to decide on the best migration strategy for your company. Do nothing, and you risk a buggy system down the road that cannot be fixed. It's time to get in front of this and start evaluating your technology refresh options. Your current vendor may guide you to decommission everything you own and reinvest in their latest and greatest systems and infrastructure. For some, this may be the best option, though it is likely the most expensive option, and one that locks you into a single-vendor relationship. There are a number of alternatives that can protect your investments while also providing access to a service that addresses the new ways employees work, communicate, and collaborate. Moving to a cloud service is one of the growing trends that simplifies this decision. Instead of another on-premises installation, consider registering your video systems to a cloud service. With the right endpoint subscription service, you can host your room systems from Cisco, Polycom, Huawei, Lifesize, and others in the cloud for a lower price. There is no upfront capital expenditure, and the cost of a cloud video solution is often less than infrastructure's yearly maintenance cost alone. With those budgeted maintenance funds, you can subscribe to a cloud video service and get even more functionality. The service is always up-to-date and maintained by the provider, so you can reduce help desk calls and IT requests, freeing up more time for your IT team. 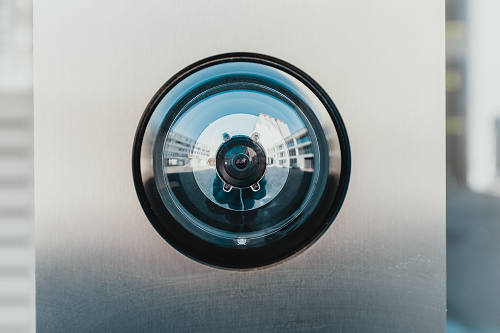 Security -- Secure media traffic behind your corporate firewall with encryption, and access other security features like PIN codes, locking meeting rooms, and one-time-use rooms. Scalability -- As your company grows, a cloud service can grow with you. There's no need to purchase additional hardware or ports; simply add a new user license to your existing subscription. Interoperability -- Cloud video conferencing connects people on different platforms, so you can use your infrastructure to talk to someone on another video endpoint, Skype for Business, Google Hangouts Meet, or any calling service. Same Quality -- With the right service, you don't have to worry about dropped calls, choppy audio, or frozen faces. Look for a provider that has a dedicated global network just for video, so your calls do not compete with other media traffic. Flexibility -- Cloud video services let mobile workers talk to anyone, on any device, from any location -- whether using a video system in the conference room or joining via smartphone in the car. Easy to Implement -- Video endpoints can be set up on a cloud service in minutes through an automated registration process. A new collaboration solution is only as good as its usage. Once you've carefully researched and selected the best video conferencing solution for your company, you may be tempted to sit back and relax, but don't forget about that critical last step: implementation. Driving user adoption is not always easy, but with some proactive planning, you can get the most value from your investments in no time. Plan for rollout -- Cloud video solutions can run at the same time as on-premises solutions, so you can easily roll out a new service in phases with no downtime. Offer the right trainings and guides -- Schedule user training around your migration schedule to avoid end-user confusion. Additionally, consider using multiple channels to reach employees. Stay in front of employees with videos, in-person or remote trainings, online guides, etc. Find and empower your champions -- Work with champions in their respective departments to drive adoption within their groups, considering specific use cases for each group. For instance, educate the sales team on how video can help them close more deals faster, or show HR how to use video for remote interviews or all-hands meetings. Create a video culture, starting at the top -- Work with the management team and champions across the organization to make video a regular part of daily communications. If the boss doesn't use video meetings, no one else will. Monitor usage trends -- Use analytics tools to proactively understand trends across the company, drive more usage, and get the most from your service. When's the best time to make a decision? Now. If your infrastructure faces end-of-life, you need to plan your migration strategy now to avoid service degradation down the road. Cloud solutions can help you protect your video infrastructure investments, reduce overall costs, and keep your users happy.